Radiant Organic Blackstrap Molasses is made from 100% organic sugar cane without pesticides, herbicides, chemicals and colouring. It is the end product, or by-product of the production of sugar. Radiant Blackstrap Molasses is a healthful sweetener that contains vitamins, minerals and trace elements naturally found in the sugar cane plant. It is a good source of iron, vitamin B6, potassium, calcium and magnesium. It has a delicious full-bodied, robust bittersweet flavour that complements many foods. For sauces, BBQ sauces, marinades, baked goods like bread and muffins, drinks and act as a sweetener in cooking. 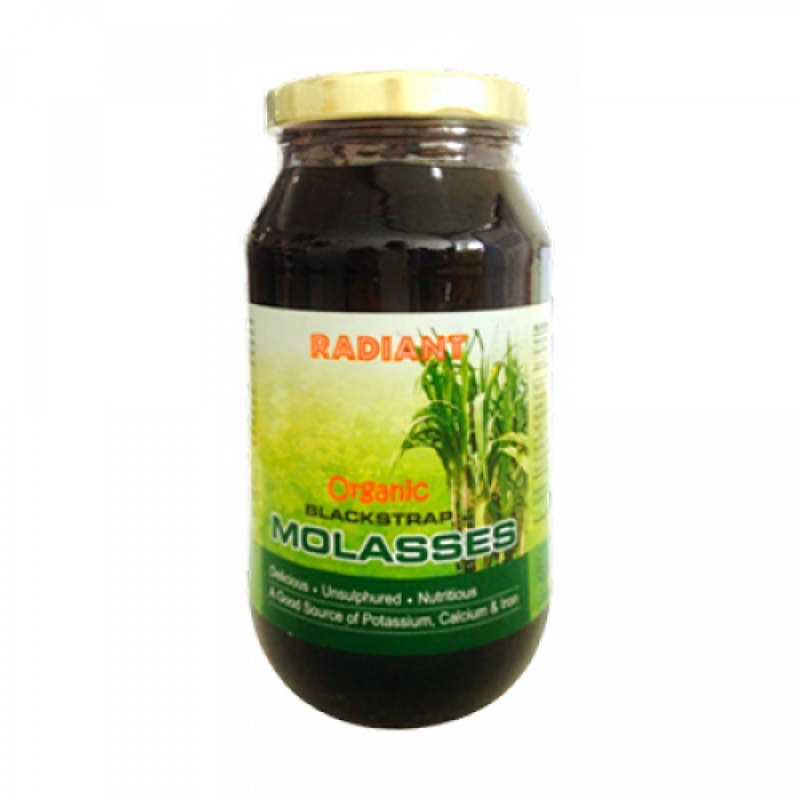 Take one tablespoon of Radiant Organic Blackstrap Molasses first thing in the morning.